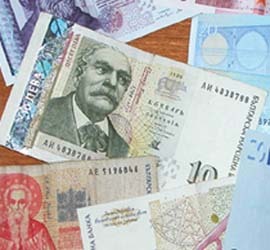 According to the local media Bulgaria's hopes of adopting the euro currency in three years took a blow from EU and banking officials in Brussels. The Sofia News Agency said that Bulgarian Prime Minister Boyko Borisov met with European Central Bank President Jean-Claude Trichet, German Chancellor Angela Merkel and French President Nicolas Sarkozy. The report further says that however, Borisov said he believes Bulgaria's hopes of using the euro are being affected by the political and economic turmoil in neighboring Greece. The agency said that Officials from the European Commission, the European Central Bank and the International Monetary Fund are to arrive Thursday in Sofia to review the country's financial position and plans. The finance ministry said Bulgaria posted the smallest recessionary deficit of all 27 EU members last year and is the only country on track to balance its budget this year. Only 16 countries out of the 27 EU members, use the euro as currency.